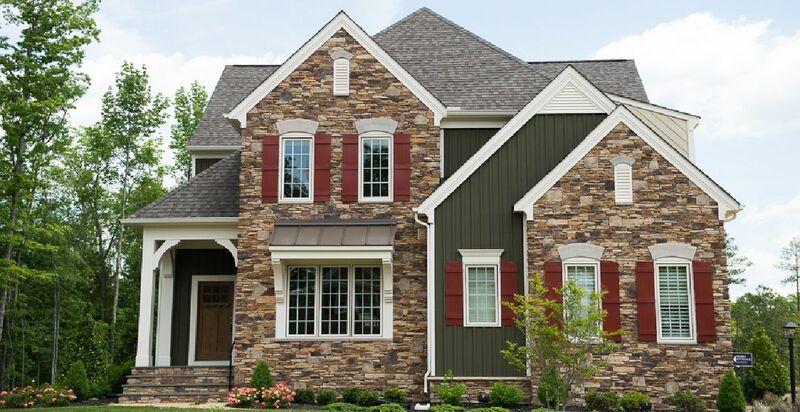 The Ellington at Wyndham community features estate-sized energy-efficient homes priced from the $590,000's. Ellington at Wyndham is a moderate-sized community with 56 luxury homes for sale in Glen Allen, Virginia, where homeowners enjoy a wide variety of amenities, including tennis courts, a soccer field, basketball court, tot lots, swimming pool, gazebo, amphitheater and other gathering spaces. Residents also have the option to join the exclusive Dominion Club, which will provide them with access to the community’s 18-hole golf course, a driving range, tennis center, fitness center, swimming pool and the 28,000 square foot clubhouse, which is home to the Wyndham Grill and private dining and meeting rooms.